That decline was largely responsible for a seven per cent month-over-month decline in total residential permits in Canada, falling to $4.1 billion. Every province, except for Saskatchewan, reported lower permit values, with Ontario, Quebec, British Columbia and Manitoba registering the largest declines. 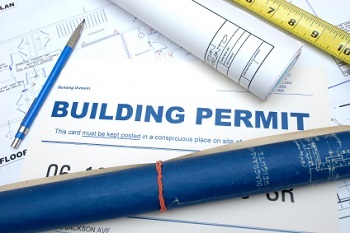 The total value of building permits across Canada, meanwhile, fell 12.9 per cent in January to $6.1 billion, mainly on the 22.8 per cent drop in the non-residential sector, StatsCan said. The value of institutional building permits issued last month was 49.8 per cent lower than in December, at $387 million. Alberta posted the largest decline – a 27.2 per cent drop from December – mainly as builders attempt to moderate their projects amid market uncertainty. British Columbia also posted declines in institutional construction permits, though Ontario posted a gain. The value of permits for commercial buildings fell eight per cent to $1.3 billion, as most provinces opted to construct fewer hotels, restaurants, warehouses and office buildings. Quebec, however, posted a 110.6 per cent increase in this segment. The industrial sector, meanwhile, posted a 22.8 per cent decrease in permit values last month, to $337 million, largely due to lower construction intentions for transportation-related buildings and manufacturing plants. Again, Quebec posted gains in this segment.